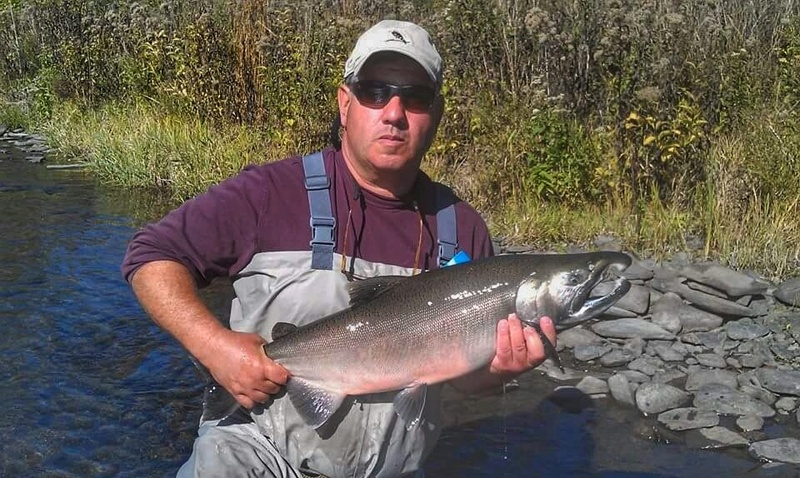 The Salmon run on the Salmon River is off to a slower start then what everyone had hoped for this fall. 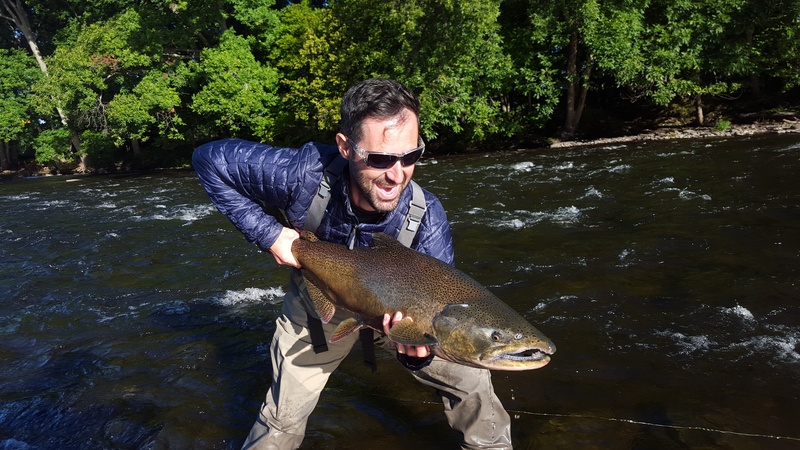 So far we have not seen a big run, everyday its a steady trickle to small pods coming thru the Douglaston Salmon Run section of the river. As you can see by Jay’s smile it only takes a few in the net to make it all worth it. Still looking for last minute dates?? I only have the Friday October 2nd open due to a cancellation for Salmon. I do have a couple of other guides with a few dates left, don’t wait to get in this years run. For the latest reports and pictures make to follow us on Facebook and Instagram. Who’s ready for the coho run?? Will you time it right when they decide to run? Interested in booking a trip it’s not to late, I had Sept 19 and Oct 2 open up due to cancellations, also I have a few afternoon dates open as well. I have a couple of guides who I work closely with that have a few days open too. Give me a call or email me to discuss a trip and we’ll get you hooked up. Just in (9/15) - One of the DSR river patrollers just reported that he saw at least 100 Coho and King down in the Estuary at the lower property line.